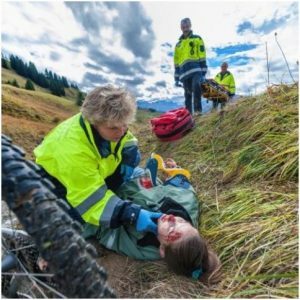 The aim of the qualification is to provide learners with the knowledge and skills to manage a casualty in the outdoor and activity based environments who requires emergency care until further assistance from the emergency services can be obtained. This qualification is aimed at anyone who requires a first aid qualification which covers additional training for working in the outdoor and activity based sectors. • Outdoor instructors e.g. hill walking, kayaking, canoeing, rock climbing, etc. Where this qualification is undertaken in less than 24 hrs, additional learner instruction may be undertaken through research i.e. Internet, reading or work based activities. This forms the second part of the qualification. 1. Conduct a secondary survey. 2. 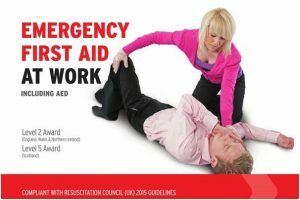 Administer first aid to a casualty with injuries to bones, muscles and joints. 3. Administer first aid to a casualty with suspected head, neck and back injuries. 4. Administer first aid to a casualty with suspected chest and abdominal injuries. 5. Administer first aid to a casualty with thermal injuries. 6. Administer first aid to a casualty with eye injuries. 6.1 Describe how to recognise and manage eye injuries. 7.3 Identify sources of information that provide procedures for treating those affected by poisonous substances. 8. Administer first aid to a casualty with anaphylactic shock. 9. 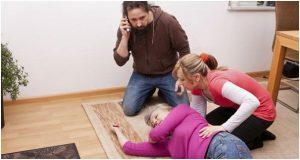 Know how to provide first aid to a casualty with suspected major illness. 1. Understand the role and responsibilities of a First Aider.